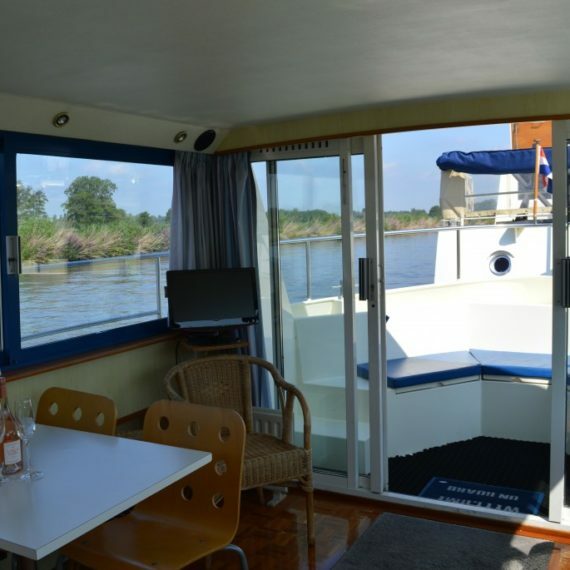 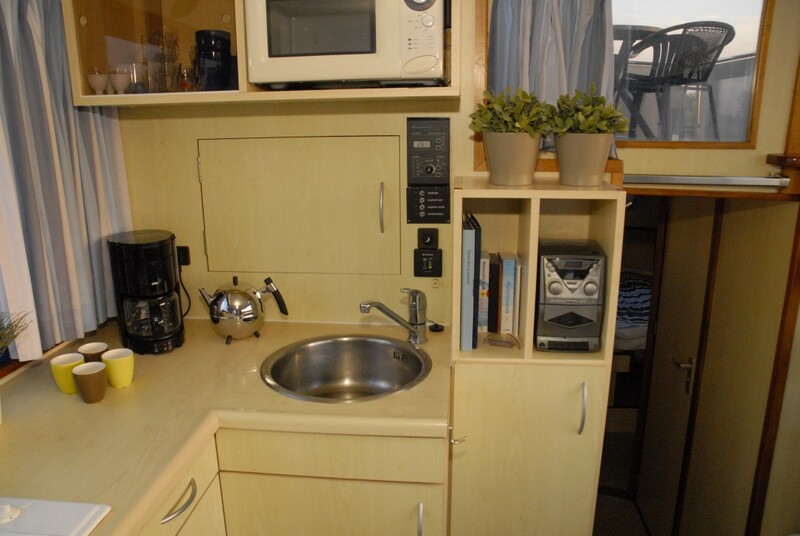 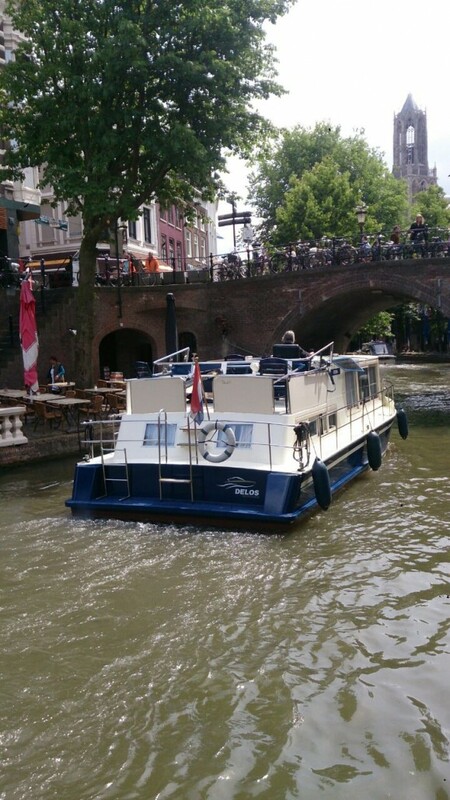 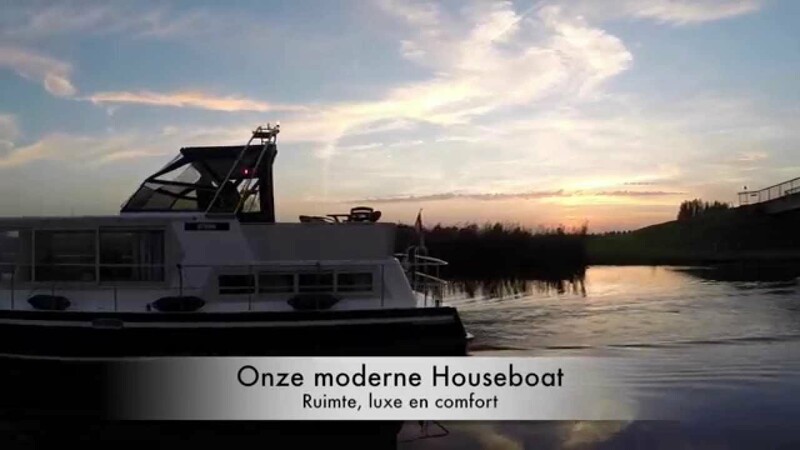 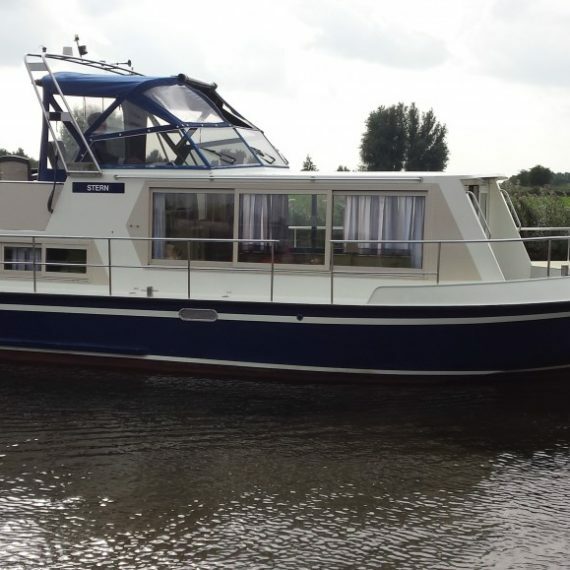 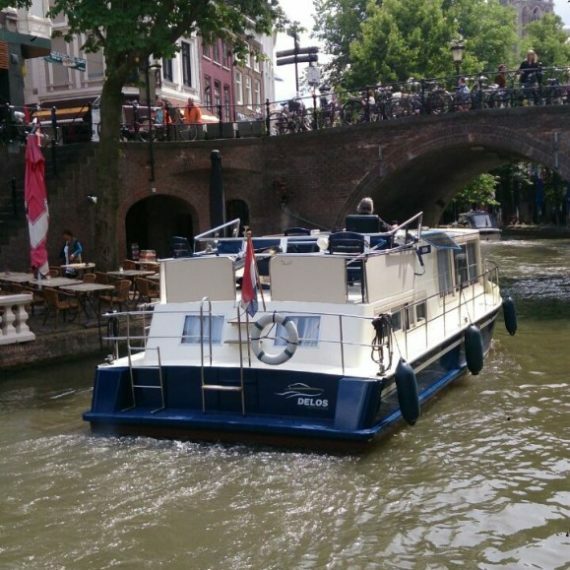 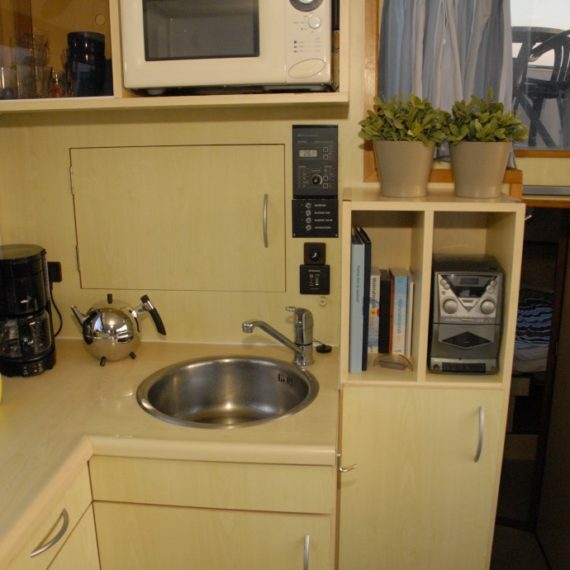 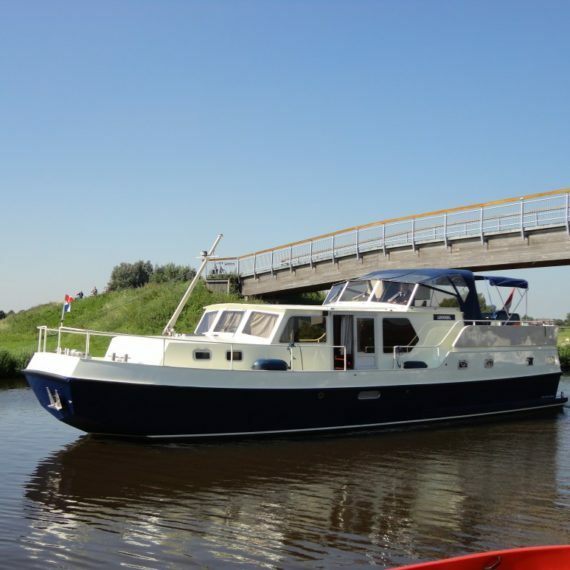 The Houseboat 1050 has a unique appearance and a spacious interior! 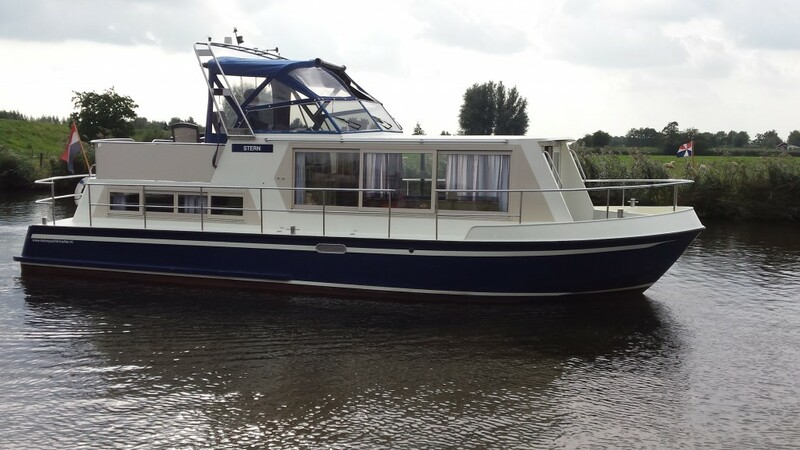 The vessel boasts a significant stability. 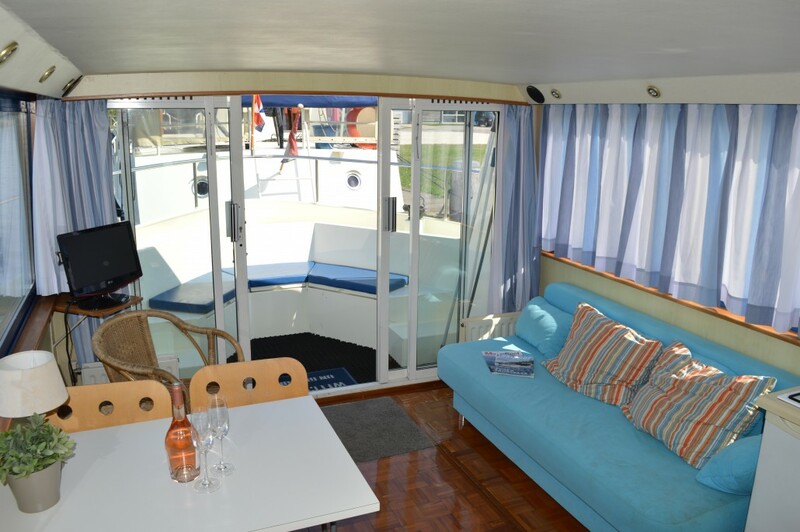 The striking sliding door in the front connects nicely with the cosy lounge seating area outside, adding to the living space. 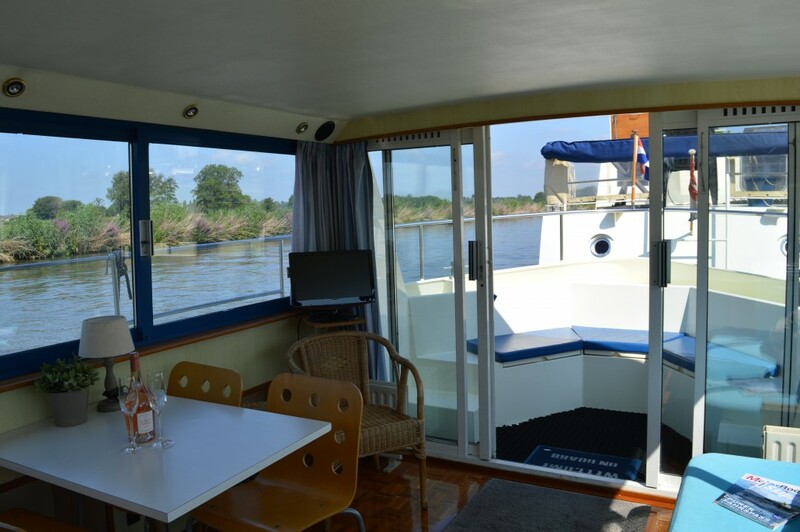 The ship additionally offers two toilettes, a hairdryer, bedroom radios, a microwave, coffee maker, safe and TV with DTT (Digitenne). 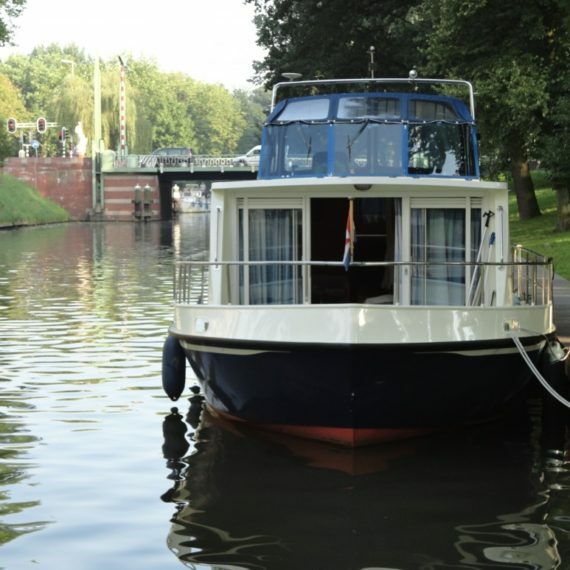 You not only have a bow thruster at your disposal but also a stern thruster! 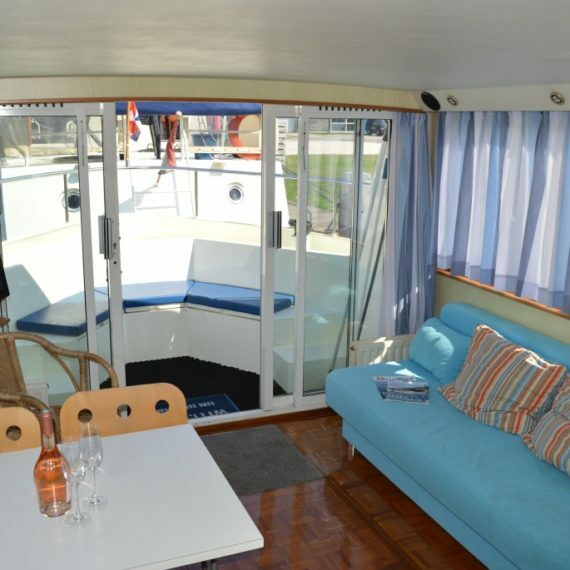 In short, a complete and luxurious ship suitable for 6 persons.